I’ve been plagued with migraines for a couple of weeks (hence my lack of blogging), but when I started feeling better, I took my camera and went to the local butterfly garden. It is in a large, climate-controlled tent. 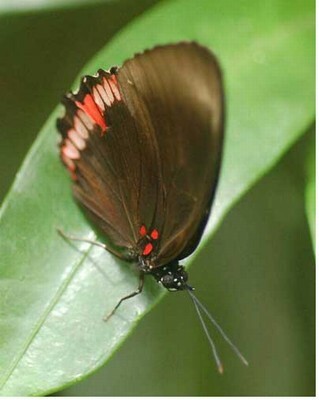 The climate is controlled to suit the butterflies, not the humans. It’s quite warm and humid in there. There are a lot of brightly colored butterflies flying around and, fortunately for photographers, some of them occasionally sit still. The staff leaves out cut fruit to attract the butterflies who want to feed. 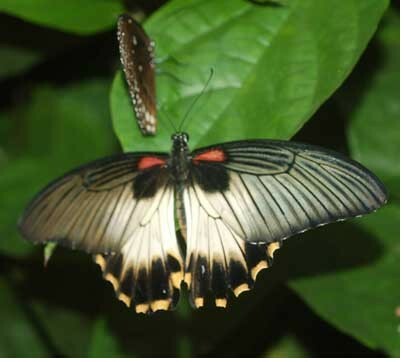 There is also an emergence box, where chrysalises hang on rods until the butterflies within emerge and spread their wings out to dry. 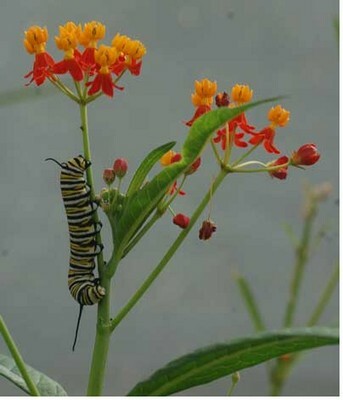 Just outside the hot, humid part of the tent are eggs and caterpillars, so visitors can see butterflies at all stages of their life cycle. 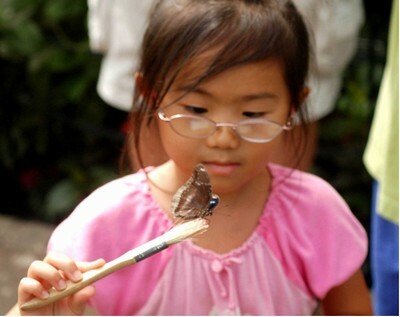 The girl was fascinated by each butterfly on her brush. 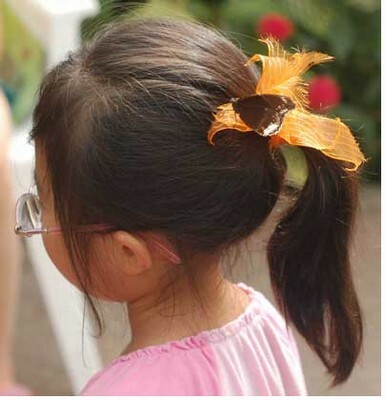 She was wearing a bright orange ribbon in her hair, and one of the butterflies sat down there and rode around while she walked. 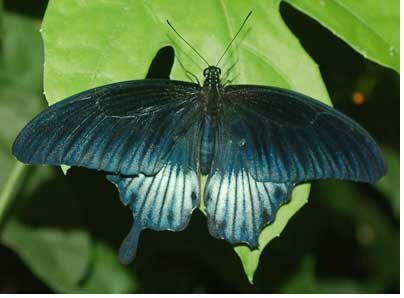 A single butterfly species, such as this Great yellow mormon (Asian), can come in several different color schemes. 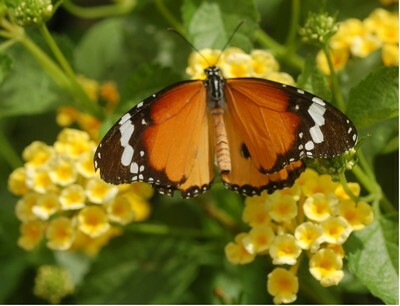 A camera and a butterfly garden can make me feel so relaxed.